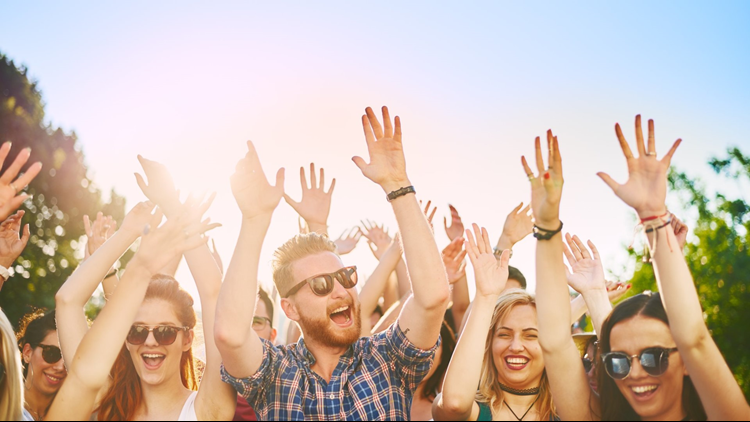 Group of friends enjoying an outdoor concert, stock image. Headliners include The Crane Wives, May Erlewine and The Moxie Strings. KENTWOOD, Mich. - The City of Kentwood’s Summer Concert Series is retuning with free concerts on select Thursday nights this summer. A variety of food trucks will be at each concert if you're hungry. If you want something to drink, and you're at least 21, bring your favorite six-pack or bottle of wine. You're also going to want to bring a blanket or chair to sit on. All concerts begin at 7 p.m. on the lawn behind Kentwood City Hall. For more information on this year’s concert series, click here!